Distributed denial of service attacks are easy to launch these days. The question is, how do you defend your infrastructure against such attacks? So much of them, so little of you. 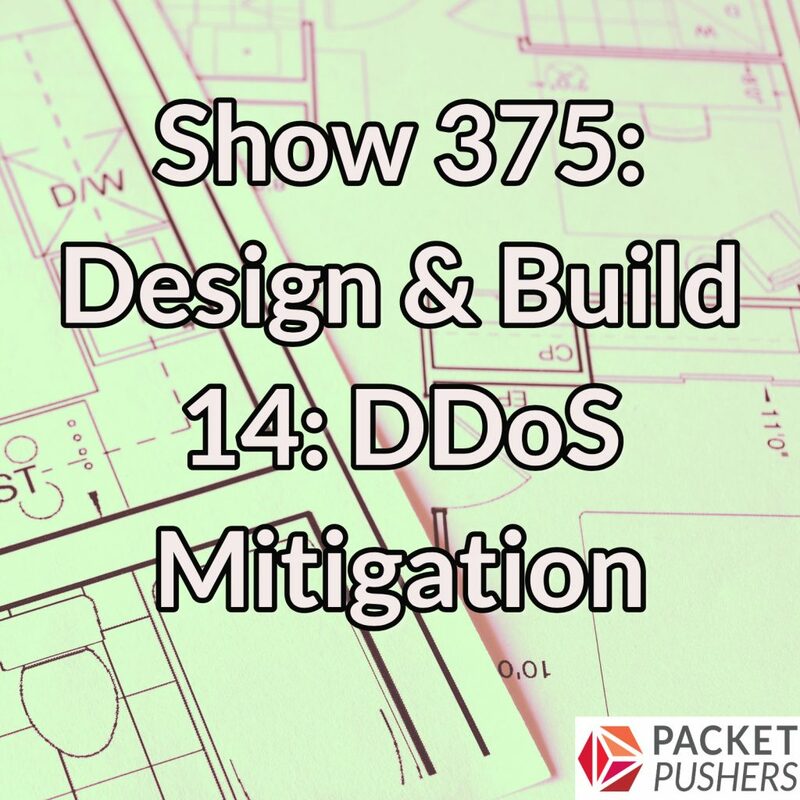 That’s why today’s entry in our Design & Build series focuses on DDoS mitigation strategy. Our guests are Rich Groves and Eric Chou, both of whom have their fair share of DDoS mitigation scars from the work they have done in this space. Rich Groves is Director of R&D at A10 Networks, and Eric Chou is Principal Engineer at A10. Yes, both guests are from a vendor, but this is not a sponsored show. The Packet Pushers and Rich and Eric discuss what a DDoS attack might look like from the perspective of a provider, cloud service, and enterprise, and then dive into major principles for mitigation. We also discuss filtering, mitigation appliances, scrubbing services, the use of BGP Flowspec, and best practices for surviving an attack. If anybody is interested, here is the O’Reilly eBook that Rich and I co-authored on DDoS. Free to download, complement of our employer A10 Networks, https://get.a10networks.com/OReillyDDoSebook/?src=home&mdm=banner&_ga=2.57931178.1253474999.1519931544-1483119856.1511982724.